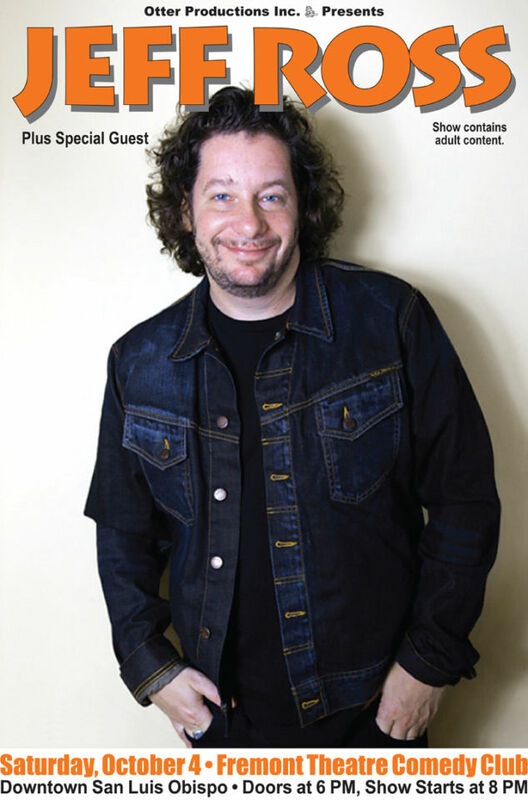 Jeff Ross at the Fremont Theatre Comedy Club - Otter Productions Inc. | Otter Productions Inc. Jeff Ross at the Fremont Theatre Comedy Club - Otter Productions Inc. Otter Productions continues with the FREMONT THEATRE COMEDY CLUB with Jeff Ross and special guests on Saturday night, October 4th at the Fremont Theatre in downtown San Luis Obispo. With the goal of bringing world class comedy on a regular basis to the classic downtown SLO art deco theatre, Otter Productions welcomes “The Roastmaster General” Jeff Ross in his debut SLO performance! 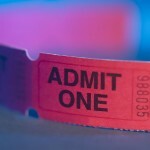 When San Luis Obispo’s Fremont movie theater opened its doors on Memorial Day 1942, the star-studded premiere drew celebrities such as boxer Max Baer and comedic duo Stan Laurel and Oliver Hardy — along with hundreds of servicemen stationed at nearby Camp San Luis Obispo and Camp Roberts. Now, 70 years later, comedy returns to the iconic Fremont Theatre with The Fremont Theatre Comedy Club and Jeff Ross. Previous shows in the series include Russell Brand, the SLO Comedy Festival and Ralphie May. Called “an heir apparent to such old-school masters as Buddy Hackett and Rodney Dangerfield” by the New York Times, Jeffrey Ross is feared and revered for his appearances at celebrity roasts. He also stars in a stand-up DVD, Jeffrey Ross: No Offense, as well as an award-winning documentary about his time entertaining U.S. troops in Iraq, Patriot Act: A Jeffrey Ross Home Movie. Jeff divides his time between New York, Los Angeles, and the road. Jeff Ross is an actor, writer, director, producer, and comedian originally from Newark, New Jersey. He created and starred on “The Burn With Jeff Ross” on Comedy Central and continues to produce and star in their wildly popular celebrity roast franchise. He will next be seen on the big screen in Jeremy Garrelick’s “The Wedding Ringer” with Kevin Hart and Josh Gad as well as “Flock of Dudes” with Chris D’Elia. He also starred on ABC’s multi camera comedy pilot “Keep It Together”, produced by Kevin Hart. Jeff’s writing credits include the screenplay “The Comedian” (co-written with Art Linson) and the book, “I Only Roast The Ones I Love” published by Simon & Schuster. Jeff continues to tour the world performing live as “The Roastmaster General”. Doors at 6PM, Show starts at 8PM.